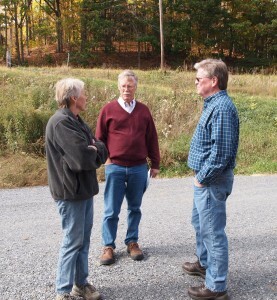 The impacts of Vermontâ€™s investment in farmland conservation were on display earlier this month when Senator John Campbell (Windsor County) toured several Upper Valley farms. Darby Bradley of the Vermont Land Trust and Nancy Everhart, Conservation Director at the Vermont Housing and Conservation Board joined UVLT staff at visits to Oak Knoll Farm in Windsor and Wellwood Orchard in Weathersfield. George Reddick and Karen Lindbo conserved their farm as they expanded their herd of milking goats and installed an on-site bottling plant. Today their goatâ€™s milk and yogurt is sold under their own label in groceries throughout the region. 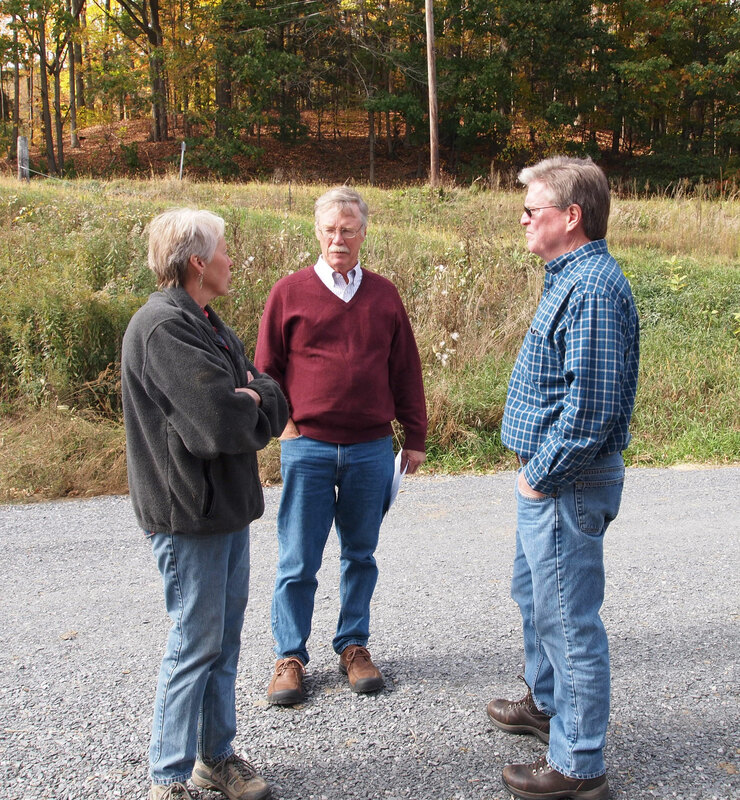 VHCBâ€™s grant to purchase a conservation easement has helped in the successful expansion of their farm. Similarly, Roy Mark described the importance of the grant he received for conserving his orchard as he transitioned from wholesaling, to selling his apples on premises. Today he grows plums, pears, peaches, apples and more, and the parking lot of his farm stand is filled with families who come to pick their own, visit the petting zoo and enjoy the spectacular scenery. Royâ€™s farm is such a destination that the local fire department runs a weekend concession stand there to provide lunch to visitors and raise money to supplement their budget. Itâ€™s clear that both Oak Knoll Farm and Wellwood Orchard are significant businesses in their communities and contribute greatly to the vitality of the local and regional economy. 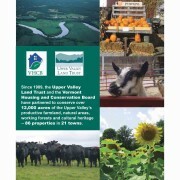 Vermontâ€™s investment in conservation through VHCB strengthens farm enterprises, and conserved farmland encourages long-term investment in farming.